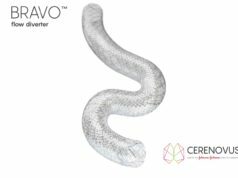 Johnson & Johnson Medical Devices Companies introduced Cerenovus, its new neurovascular business, at the Society of NeuroInterventional Surgery 14th Annual Meeting (SNIS; 24–28 July, Colorado Springs, USA). Cerenovus, a name derived from the Latin words for ‘new’ and ‘brain’, will focus on delivering innovative therapies for haemorrhagic and ischaemic stroke patients. According to a press release, the Johnson & Johnson Medical Devices Companies are committed to neurovascular care, having expanded Cerenovus’s product portfolio in the last year with targeted investments. The recent acquisitions of Pulsar Vascular, with a specialty in the endovascular treatment of wide-neck bifurcation aneurysms, and Neuravi, offering extensive expertise and knowledge in acute ischaemic stroke with its EmboTrap Revascularization Platform, greatly extend Cerenovus’s abilities to address unmet clinical needs in these areas. Johnson & Johnson’s neurovascular business was previously under the name Codman Neuro.